New research by the University has found that prescribed burning, a controversial technique where fires are intentionally used to manage vegetation, is not as damaging to peat growth as previously thought if carried out on a sensible rotation, and can produce several positive outcomes. 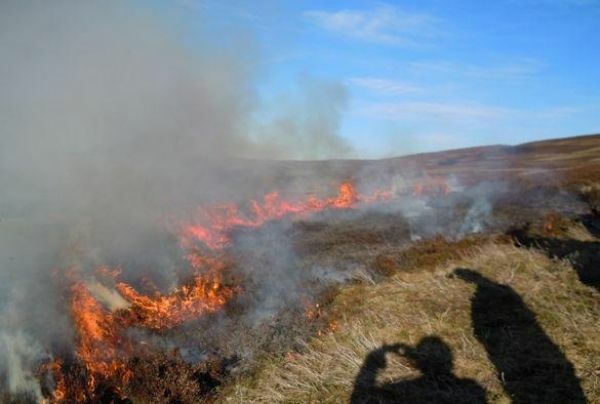 In a study published in Nature Geoscience, scientists analysed data from a long-term ecological experiment at Moor House National Nature Reserve which contained areas of moorland that only been burned in 1954, or since 1954 had burned either every ten or every twenty years. These were compared with “control” areas unburned since the 1920s. Analysis of changes in vegetation composition, led by Emeritus Professor Rob Marrs from the University’s Department of Earth, Oceans & Ecological Sciences, found that the areas which hadn’t been subjected to any prescribed burns were dominated by heather, and other low-level, peat-forming species, and contained less good peat-forming species such as Sphagnum mosses and cotton grasses. New stratigraphical data collected on the rate of peat and carbon accumulation led by Professor Richard Chiverrell from the University’s Department of Geography & Planning measured numerous peat profiles sampled from the different prescribed burn areas.